Cinema, built 1958. Currently the complex contains three cinema halls: "City 1" (116 seats), "City 2" (123 seats), and "City 3" (104 seats). 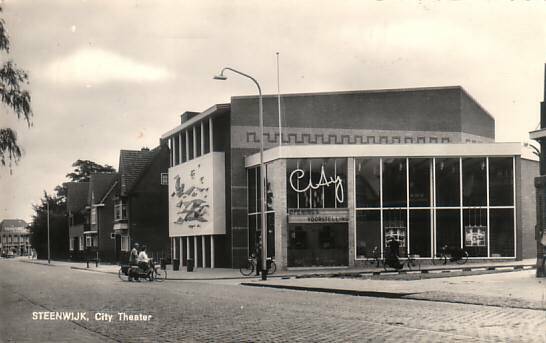 Front Text: "Steenwijk, City Theater", signs: "City", "Openings Vorstelling"